There’s a classic scene in The Simpsons where 8-year-old Lisa is offered a large check. 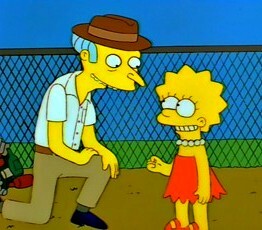 Monty Burns has made a $120 million from an idea that Lisa gave him and he wishes to give her a ten percent share. But the money represents ill-gotten gains from harvesting the sea, so Lisa says no. Lisa later apologizes to her dad for not taking the money. Homer replies, “I understand. But we really could’ve used that $12,000.” When Lisa explains that ten percent of $120 million is a great deal more than $12,000, Homer has a heart attack. Homer’s bad maths makes me think of Christians who don’t appreciate all that Jesus has done for us. Because they don’t know what makes the new covenant new, they assign a low value to grace. It’s only worth $12,000. It’s a nice gift, but hardly enough to live on. Then when you tell them that God’s gift is worth far more than that, they get a great shock. Do you know what makes the new covenant new? Are you getting all that Jesus paid for? Elsewhere I have listed the top 12 blessings of the new covenant. The first of these is the complete and total forgiveness of all your sin – past, present and future. Other blessings include the free gift of Christ’s righteousness, holiness, indeed, his very life. All these blessings testify to God’s grace, which is one of six ways the new covenant can be distinguished from the old. In the old law-based covenant you reaped what you sow, but in the new we reap what Christ has sown. In the old you did to get, but in the new we get because Christ has done it all. This is grace and grace declares that all is a gift. Every spiritual blessing is ours in Jesus Christ (Eph 1:3). Under the old it was do, do, do, but in the new it’s done, done, done. Faith is a rest, not a work. Only when we rest in the finished work of Calvary can God begin his good work in us. And as his grace abounds, good works abound (2 Cor 9:8). Good works don’t produce faith, but faith produces good works. The old covenant was characterized by ceaseless effort in the pursuit of holy demands that could never be met, but the new covenant is rest and peace in the Holy Spirit. Labor to enter his rest. Old covenant preaching will make you stupid and harden your heart to the goodness of God (2 Cor 3:14). But new covenant preaching removes the veil and reveals the Lord’s glory. As you behold him you become like him, transformed by the Holy Spirit (2 Cor 3:18). Under the old the best you could hope for was self-improvement that never lasts. But in the new you become new (2 Cor 5:17) – a brand new person with a new heart and a new spirit. Born of the Spirit you are no more a prisoner of sin, but a co-heir with Christ. In the old covenant God lived in a temple you could never enter, but in the new you are the temple of the Holy Spirit (1 Cor 3:16). You are one with the Lord and as he is – holy, righteous, perfect forever – so are you in this world (1 John 4:17). You don’t need more faith, more anointing, or more of God. That’s old covenant thinking. You are complete in Christ (Col 2:10). In the new growth happens as we acknowledge every good thing that is already ours in Christ (Phm 1:6). The old covenant was underwritten by your frail promises to God, but the new rests on the “better promises” of God himself (Heb 8:6). In the old you loved God and forgave others because it was commanded of you, but in the new you love and forgive because he first loved and forgave you. The old covenant was between God and Israel, but the new covenant is between God the Father and God the Son. God holds up both ends of this arrangement, swears by himself, and gives us his Spirit as a guarantee of what is to come (2 Cor 1:22). Under the old covenant, you were blessed if you obeyed, but under the new you are blessed because Christ obeyed. Your salvation is eternally secure because it is Jesus who saves and keeps you. At Mt Sinai the children of Israel swapped a covenant based on God’s faithfulness for one based on their own. “We will do whatever you command us” (see Ex 19:8). It was the forbidden tree all over again and it broke our Father’s heart. Many Christians don’t know what makes the new covenant new and as a result they are working to get what they already have. Like Homer, they’re a heart attack waiting to happen. How can you tell if you are walking in the new covenant? Ask yourself, am I God’s son, servant, or friend? 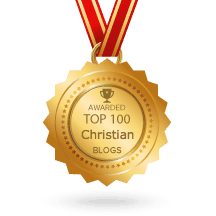 Is God my judge, employer, or Father? If you don’t see God as your loving Father and yourself as his dearly-beloved child, you have not fully apprehended all that Christ accomplished on your behalf. You need to read this. For everything that Christ taught, everything that makes the New Testament new, and better than the Old, is summed up in the knowledge of the Fatherhood of God. “Father” is the Christian name for God. Before Jesus, no one called God Father. After Jesus, every New Testament writer did. Jesus came to reveal your Father, and this is what makes the new covenant new. Grace and peace to you from God our Father! 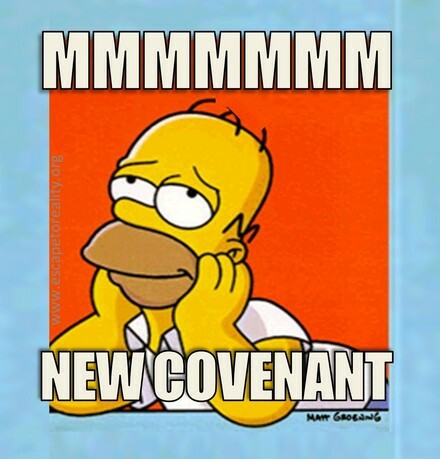 63 Comments on What Makes the New Covenant New? Ugh, this is the Gospel each human should hear.The Goodness and kindness of our Father Grace will free young people from the fatherlessness and from hiding from God. I pray for you and your family always. God keep you and let His face shine apon you. He is working through you to remove veils and lies from our hearts and to know the truth. and if you do not pass, no new covenant for you. The New Covenant is our foundation, our surety and our complete security from start to finish but there is still a race set out before us to be run with perseverance (Heb 12) and while our credited righteousness is secured and recieved and never lost from first to last we are still called to relentlessly and tirelessly by grace alone to pursue and press on and lay hold of the existential lived out righteousness that comes by faith and which is not a self righteousness which is by law or self effort. (See Phil. 3:9-13). If Paul were speaking of the credited righteousness which is promised by the New Covenant here why then would he say that he is still pressing on to lay of it? Why then would he say he has not yet laid hold of it? Paul knew he had secured credited righteousness already. But there is an existential lived out righteousness yet to pursue – not by law or self effort but by faith alone! The passionate relentless all consuming pursuit of THIS righteousness is what is never emphasized in the nascent grace reformation. This is not a righteousness FOR US- since credited righteousness is all we need- but it is this everyday lived out righteousness (which also is by faith alone) that is for the glory of God alone and for the fullness of our joy. Why is THIS faith righteousness never emphasized in the current grace reformation? This may explain much of the criticism we are receiving : Show me THIS money! Actually Barry the OT is our foundation, or did the Lord have nothing better to do than TROLL the human race with the OT? You can’t even understand the NT if you can’t grasp the OT. And Paul was a EXPERT on the OT. A Pharisee of all people. You can not invoke Paul and minimize the OT, as you did in your initial comment, and think that the OT is somehow ZERO to the Apostle Paul. You know the one that called the Gospel of Grace…HIS GOSPEL? Let’s stay scriptural. And yes sir Barry when you describe the ‘New Covenant’ as ‘our foundation’ well you just pissed all over God’s Word that NC believers need to become more familiar with. It seems you’ve forgotten the bit in the Bible about speaking the truth in love, because you are being rude and disrespectful and making a whole lot of assumptions. The New Covenant was always God’s plan, from the beginning, prior to the Old Covenant. The Old Covenant was a bandaid that God permitted for a time to point people to their need of Him. Yes it is absolutely vital to God’s whole plan, and it contains wonderful truth that the Apostle Paul recognized, and that we need to learn from. It reminds me sadly of how many churches urge people to make ”recommittments” on a weekly basis – still living in an old covenant mentality. This article is liberating from that slavery! Paul, I love your writing style. You make understanding the new covenant simple and documenting your position with scripture verses is an added bonus. Thank you for sharing your insight/revelation with us. I wonder if the awareness still needs to travel down from my head and understanding to my heart and how I live. It can take awhile to break out of performance mentalities and perfectionism, but I am on the Journey, for sure! Thanks for your help in my journey! Are you getting all that Jesus paid for? Great question to another great post. Got some, much more to get. OOPS, that was wrong, we have it all now, 2 Peter 1:3 but we need to see more manifest in our lives. It’s not easy but we must believe that we have it all now. If not, then even what we have shall be taken away; Matthew 25:29 even thou we have it. It manifest from within. Paul you hit it on the nail when you said, “Faith is being fully persuaded. When you are fully persuaded, you can rest. The issue is settled. Your mind is made up and your heart is at ease.” Amen. I visited a new church this past Sunday in hopes of finding a group of folks that have discovered and teach the New Covenant. And again, close but not quite. The sermon had much of the language of grace but was ended with a list of Christian characteristics on the big screen (meekness, peace-loving, sincere, etc.) and we were asked to mentally measure ourselves in all these areas and take five minutes of silence with the Holy Spirit to show us how we can do better at them. The pastor was obviously very well educated in Scripture, there was nothing blatantly legalistic said and they were very nice people, but oh how I long to hear a sermon and be around people that are done with measuring themselves and have shifted to “growing in the grace and knowledge of our Lord Jesus Christ” and fixing our eyes on Him, holding the measuring stick up to Him and praising God for this infinitely superior New Covenant. I hear you Jason, that’s why Paul’s faithfulness is so necessary–his reminder that it is always about the Grace of God through Jesus Christ and not our lowly attempts. Man, by nature, is performance oriented and basically cannot endure not getting credit for anything that they have done. One of the posters, earlier on, had to add his take on Grace, it is so disconcerting that people won’t humble themselves and simply accept and rest in what God has done for us through Christ. Not that we do nothing but sit around, no, that all that we do for the Lord is motivated by the leading of the Holy Spirit and the Grace of God in Christ Jesus. As we realize, day by day, the Love that God the Father has for Jesus, whom He sent to die on the Cross for His creation (all who accept Him) we realize how much love He has for us, His children. It is finished! I’m really sorry but hoping someone can help me understand this. I’m trying to reconcile point 6 above with Ex 19:8. Having read the previous 7 verses it seems to me that God is instituting this covenant and saying “Now if you will obey me and keep my covenant” I do note however in v9 God does say that he will speak so the people can hear him so that they will trust Moses. i think I get the fact that even if God spoke to them and punched them on the nose they would not get it unless a human being confirmed it as such. I have been very guilty of this. I have to admit that I have been like that for my whole Christian life which has been filled with anxiety/guilt/fear and a sense of being a useless so and so. When I have sought this thru other people it’s just added to it, from adding law and others telling me that I’m loved and accepted by God full stop. For the last couple of years I have stopped doing that and have been seeking God only but he seems so far away. Sorry but I have digressed. Anyway if anyone can help me understand Ex 19:1-9 and somehow tie it in with Heb 2-2 as well it would be eagerly accepted. Can you put your question into a question? What I am trying to figure out is that you say the law was given to Israel because they wanted to relate to God by law keeping. Reading Ex 19:1-9 it seems to me that they had no choice as God was instituting the law regardless of how Israel wanted to relate to God. I don’t quite get how it can be said that Israel wanted the law instead of a faith relationship. Just wandering where my understanding has gone awry. I’m not disagreeing with you, honest I’m not. I love reading your posts and what you have to say. On pages 193–4 (of his book Hypergrace), Dr. Brown takes issue with the claim made by some hyper-grace preachers, including myself, that Israel basically asked God to give them the law-keeping covenant. “Honestly, when I read statements like these, I wonder if we are reading the same Scriptures.” Dr. Brown’s incredulity is not baseless. The Bible does not actually say the Israelites twisted God’s arm into giving them the law-keeping covenant. But neither does it say, as Dr. Brown does, that “God gave Israel His laws … because He had given His promise to Abraham, Isaac, and Jacob, and it was all based on His grace and not their merit.” Both conclusions are inferred. Dr. Brown says God gave Israel His laws based on His grace. Since law and grace are mutually exclusive, this is confusing. There is no such thing as a grace-based law. It’s one or the other. It’s grace or it’s law. It’s more accurate to say that God gave us the law so that we might appreciate our need for grace. The covenant God made with the Patriarchs was grace-based. God’s blessings to Abraham’s family were based on His promises, not theirs. This can be clearly seen in the exodus of Israel. On their flight from Egypt the Israelites complained and murmured but God did not treat them as their sins deserved. Instead He gave them grace. The Israelites complained on the shores of the Red Sea and God blessed them (Ex. 14). They murmured at Marah and God blessed them again (Ex. 15). They grumbled in the desert and God blessed them again (Ex. 16). God did not bless Israel because they were faithful (they weren’t), but because He is faithful. However, at Sinai, everything changed. The Israelites signed up for a law-based covenant where God’s blessings now hinged on their faithfulness. They swapped the free bounty of heaven for the carrots and sticks of the law. It was the worst trade in history. On the day they received the law the Israelites sinned again, but this time they paid a price and 3000 people died. This is why I say Sinai was a bad day for the Israelites. Refus¬ing to believe in the goodness of God—despite all the evidence of His grace—they asked for the stick and they got it. The Israelites said, “We will do whatever you command us.” Dr. Brown is impressed by their desire to obey the Lord. “It was a good response—the right response” (page 195). But it wasn’t. It was a presumptuous and arrogant response. The Israelites already had a covenant with the Lord, a grace-based covenant. But instead of trusting in God’s faithfulness, which they had witnessed again and again, they opted to trust in their own. “We will do whatever you command us” was not a good response but a catastrophically bad one. As Joseph Prince has said, the Israelites fell from grace at Mt Sinai. “Man presumed on his ability” and the result was idolatry and death. Thanks for taking the time to respond. I definitely understand the relationship that the Patriarchs had with God and its basis and now that applies or should apply to us today (I say should apply as some people like me still really struggle with it because we are confused with what happened at Mt Sinai and why it happened and its purpose) I hope that makes sense. I agree with your response to Dr Brown. I have a great desire to have a patriarchal relationship with God, to be everything that he has called me to be to be Jesus’s disciple but alas I know myself and find myself at Mt Sinai and many like me. So why the difference with Abraham & Israel? Is it because Israel were not willing to enter into a patriarchal relationship with God that he had called them to which had manifested itself by them constantly grizzling at God? Sorry to burden you. To clarify: Abraham had a great relationship and a wonderful covenant, but our’s is better. Abraham was credited righteous, but we are made righteous. Abraham called God friend, but we call him Father. As for your question – Why did Israel choose the law-based path? – you’ll have to ask them. Exodus 19 is Old Covenant. The old covenant is no longer in effect. The New Covenant, a better covenant, has taken its place and that is the covenant of Grace. Paul is not saying that we should go and live immorally. We need to live in a way that reflects the identity we have in Christ, but when we screw up from time to time, we can rest in our Father’s love and mercy. Hi Brandon, I never said that Paul said we could go and live immorally. Sorry if it seems to come across that way. Yeah I know Bill. I was just making a reference to some people implying that the way grace is presented leaves the door open for embracing sin. So since Father Abraham, Isaac & Jacob were TITHERS…can I mention that again…TITHERS…where do you stand on tis Jesus, honoring principle? Or are you one of those Christians that thinks because he’s not an ethnical Jew, that bringing your tithe to THANK JESUS, its just for them Jews??? You know those primitive guys, that know ZERO about honoring Jesus for what Jesus does in our lives? Exodus 19 is where God reminding His people that it is not about you but about Me. Look what He said to Moses to tell them. Exod 19:3And Moses went up unto God, and the LORD called unto him out of the mountain, saying, Thus shalt thou say to the house of Jacob, and tell the children of Israel;4YE HAVE SEEN WHAT I DID UNTO THE EGYPTIANS, AND HOW I BARE YOU ON EAGLES’ WINGS, AND BROUGHT YOU UNTO MYSELF. (emphasis on me). God is telling them it’s all Grace folks. “I got you in palm of my hand” but they replied to God saying to Moses “WE WILL DO ALL”. Here, we see how arrogant these people are after all through God’s grace they have been carried on eagle’s wings and God himself draw them unto Himself. Are Christians living under Grace today, BOASTING in their GentileNESS, any less arrogant though? What I mean is, would you like to talk about how so many Gentile Christians today use GRACE as their EXCUSE to do zero for Jesus? Do you realize how many Christians don’t PUT ONE #1 that JESUS gives them in their salary or source of income towards the preaching of the Gospel? Yea lets talk about money. Cause if it wasn’t important to Jesus, there would be no tithe and HE CERTAINLY would never have the audacity to make Solomon the richest person in human history. ESPECIALLY UNDER THE OLD Covenant. This revelation has transformed our whole church to the point we changed the name of the church, the culture, the mission and vision. Everything is operating under the new covenant. We need to realize that those who complain about ‘hyper grace’ are basing their complaints on scripture (real scriptures), & we really haven’t been fair to those people, because we haven’t even tried to explain what those verses actually mean- so far- & those verses ARE in the Bible. God has shown me that we actually have a 2-sided covenant: 1 side of this covenant is Heaven- a part that God has ALREADY GIVEN US (it’s FREE), & the 2nd side is Earth- the part WE are supposed to do for GOD. The people who complain about grace so much are confusing scriptures warning about what we do on Earth with how we get to Heaven. Those scriptures are in the Bible & they are all valid, but they have to be used the right way. What I mean is this: Jacob had 2 brides because Jesus has 2 brides- all believers are not the same. There will be 2 brides, 2 marriages, & 2 seven-year periods. This is why He warned that you should “pray that you will be counted worthy to escape these things”. Read the parable about the virgins; the foolish ones ‘missed’ the groom. This is why there’s so much friction about the rapture these days. We need to be getting this across to the rest of the Body as much as we can. Brilliant brother…but how do you get across to people made of carbon or dirt or things we tread on…that the God of this universe, the one that made it all, that has no beginning or end, has given them HIS undeserved, UNEARNED favor that only came by Jesus’ death? We as humans, just have an awful habit due to our fallen nature, to place limits, boundaries, almost monopoly signs of do not pass, when it comes to receiving the Grace of God. For me, well that’s something quipped by a believer that has such a limited vision of how extensive, how grand, how unexhausted the Grace of God is. But the PhDs and experts in the Body of Christ, with their precious degrees want to call it ‘hyper grace.’ LOL Really? Is that how limited your thinking in vision is when it comes to the Hassed of the Lord? what a wonderful, abundant life the Church would experience if we all could just receive the truth of New Covenant grace. Afterwards what a shining light we would be to all the World. Great post Paul Ellis. LOL. Paul that’s wisdom and a cleverness I couldn’t even garner. Not that I’m some clever chap. I think Christianity is difficult for most people to embrace because of old testament teaching still being prevalent in most sermons. I believe one day, hopefully soon and through people such as yourself, the true Christians will say “enough” and revert to the principles defined in this article. When this happens, the Christian community will experience exponential growth like never before. Thank you Paul. Old Testament teaching is incredibly important. Its rightly dividing between both the covenants that’s causing so much confusion today. In fact, because so many Christians aren’t familiar with the OT or treat it as ‘obsolete’ or ‘unimportant’ is why you have so much confusion about the New Covenant. Many Christians don’t even grasp the NC because they don’t understand the Old Covenant. I couldn’t even begin to explain how the gospel of grace changes life. it changes mine for sure. Jesus is really good in being God. I allowed Him to make decisions for me. The fruit is amazing. by Gods grace, the number of people who believed in our Savior(by sharing the gospel) in just a month is more than I have won(using hyper-law, mixed) since 1998. ** the real heartbreak is when Im sharing the gospel to a well rooted law-based-i-am-worthy-because-I-work-for-the-lord Christians. some of them seems to repel the grace of the Lord and saying Im abusing Gods grace. Paul, what is your response when someone tells you, you are abusing Gods grace? I know in my heart that It cant be abused like i cant abuse the unlimited gravy in KFC. my daughter can spill the gravy, sometimes she drinks it(dont ask me why) and when it rans out, they just keep refilling it. WOW that’s awesome brother! What can I add to that? ZERO. Other than Jesus is just so awesome, WHEN people present Him as the Bible does. I think what must be understood about the Old covenant, for most of us, is that we were never part of it. I’m a Gentile saved by Jesus Christ. Therefore I’ve not passed from Law to Grace, I’m brought in from exclusion to Grace. I understand all that Jesus brought to completion, and remind myself constantly of being a new creation. I was never under the OT – I might on some days feel old, but I’m certainly not 2048! I lived in the US as a teen, where I got saved. Now I review that time as an environment of confusion – every Christian I knew acted as though they were converted from Judaism and struggling in that confusion of an unrenewed mind. It’s taken some time for me to understand this privilege, no small thanks to you, Paul. It is indeed a New Covenant, and my first and last! Not being part of the OC is not an EXCUSE to not understand where our Bible has come from as gentiles and what important truths the Lord has taught from the beginning of Genesis. Take for example TITHING. Taught right in Genesis, through Father Abraham BEFORE the Law or 10 Commandments was ever given. YET, Christians today have developed such a arrogant attitude about how ‘that’s not for us, that was for the Jews…’ Yet from the OT the Lord taught us a financial principle that many Christians still argue today is not beneficial or even required by Christians today. So the theft in the church continues to be rampant. And that’s just one example. The OT has so many powerful truths, that Christians are deliberately ignoring ‘because we’re under Grace.’ The entire Bible is important. He never suggested the entire Bible wasn’t important or that we should not have knowledge of the OT and where things came from. He was saying it’s important to understand things properly and divided what is in the covenants rightly so that we do not attempt to live by something we weren’t meant to. Really do you think I’m not at all cognizant of what I post? What does not being a JEW under the Law, have to do with for example…practicing the tithe or what other principles are OT MENTIONED? Christians are NOT UNDERSTANDING things properly, ESPECIALLY when they continue to STEAL Jesus’ TITHE. Do you have it? Or do you think that the MONEY the Lord gives us…has ZERO important to Him? *Facepalm* You are twisting things Robbie. For the record, not only do I tithe, I go above and beyond the tithe. The principle of giving to the Lord is not only expressed in the OT, it’s also expressed in the NT. Regardless, there are many principles in the OT that we can learn from and apply to our lives. Nobody brought up the tithe or other good OT principles that are separate from the Law prior to you running with what was said and preaching about excuses, arrogance, or suggesting that any of us thought the entire Bible wasn’t important. Maybe that isn’t what you meant to convey, but that’s what came across. Perhaps you were merely using the opening to say there are those who do react to grace in a way that uses it as a means to dodge some things. He was simply saying he wasn’t part of the Old Covenant, not that there wasn’t truth in the Old Testament that is good for us. The Law does not make up the entire Old Testament, and he was only referring to the Law / Old Covenant. First, thank-you Brandon – I’ve just checked back on this site. A favourite of mine, but I usually have only one visit per week. Robbie, thanks also for taking time to respond. I hope you’re not as furious as your use of Upper Case suggests! Let’s not shout at one another. Since I came to understand my identity in Christ and this covenant alone, my giving has increased. There is no needless accounting of percentage. It’s a greater pleasure and done more simply. When given so much, sharing is rather more automatic. Phil Drysdale has a great post on his experience of the tithe – I politely ask you to consider reading it. I don’t doubt that you’re aware that Abraham gave the remaining 90% to Sodom and am also confident that you don’t similarly endow similar communities such as that. Nor do I doubt that you’ve read that the Levitical priesthood has ended. We give generously because it’s our new nature. If you suspect that those of us here who celebrate “hyper grace” – to quote Paul the Apostle – now believe we are free to act on whim and recklessness without consequence, I assure you I do not believe this is so. I myself will not abuse the Giver of so much. My salvation is assured by the letting of new and better blood; I’ve a responsibility to Jesus Christ and I hold it above all. So breathe out, brother. We are raised in a way that was not possible before the Cross, the Resurrection and the Ascension. None of this was available in the OT. Treasure it with perspective. I’m sure that Paul Ellis once wrote that for some believers the Cross “is just a bit of background scenery”. It wasn’t and it isn’t on this day I write. It’s not possible – Jesus promised. Awesome Post Paul Your Awesome!!!!!!!!!!! The Ex 19: 8 They just said they will do what the Lord has spoken (ex 9: 3-6). how can they be called swapped a covenant. they only want to obey. beside that, I’ve heard that the ten commandments of God is their desire. how can it be. Would you show me the verse. to know I am not against the law. I believe in grace. I answer this question at length of p.105 of The Hyper-Grace Gospel. If you don’t have the book let me know and I’ll see if I can find time to write a note and post it on E2R’s Facebook page. – but it could be a while. I can only find your book in my country is a book entitled “gospel in 10 word” and “gospel in 20 question”, I am very happy I could finally have the book. I just did – here’s the link. This is very well presented. So ‘crispy’ and yet so deep and spiritually nutritious. Interestingly you referred to J. I. Packer’s book, ‘Knowing God’ I own a copy and thoroughly enjoyed but have you read his new book ‘Keeping the 10 Commandments”? It is almost like someone else wrote it and put Packer’s name on it. I was actually checking if you have done a review on it. I recommend it to you and will be seriously interested in knowing your thoughts on it. Keep up the good work. The new covenant, as I understand it, is a oath made “with the house of Israel, and with the house of Judah” Jer 31:31, Heb 8:8-12. 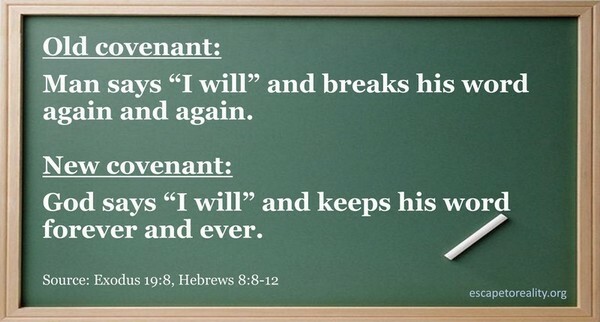 As a gentile I feel that this covenant promise does not apply to me. I do however accept that as a gentile my identity and heritage is found in Abraham Ga 3:7,8,9,14,26-29 Ro 3:19-31 4:1-5:2. The gifts of grace and faith are mine; by those gifts I live harmoniously with God the Father and His Son through the inspiration of the Holy Spirit. If the new covenant is only for Jews, then Paul was mistaken when he told the Corinthians about it (1 Cor 11:25, 2 Cor 3:6). The promises made to Abraham included blessing many nations. That blessing is experienced in Jesus Christ. “But now in Christ Jesus you who once were far away (ie: Gentiles) have been brought near by the blood of Christ” (Eph 2:13), and that blood is the blood of the new covenant (Luke 22:20). The sign of covenant for the old covenant is the Sabbath. The sign of covenant for the new covenant is the shared cup of wine. Lu 22:22 and 1Co 11:25 is a record of the same event of Jews at a Jewish Passover meal partaking of a cup of wine as a symbolic sign of covenant. As to why Paul retold the story to the Corinthian’s is debatable (I have my own theory). As to 2Co 3:6, interestingly the NIV reads “a new covenant” rather than the AV’s “the new covenant”. 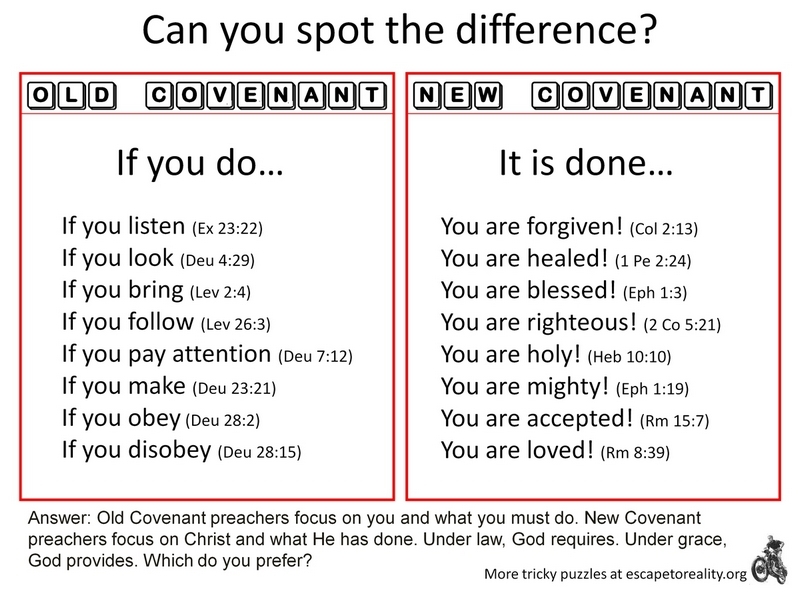 This is a marked difference so, which is it; a new covenant or the new covenant? One’s bias influences the answer to that. My bias tells me “a new covenant” is based upon the fact that Paul preached a new gospel “the gospel of the grace of God” Ac 20:24 which differed from “the Kingdom of God/Heaven” gospel that the Baptist, Jesus and the twelve preached Mt 3:2, Mt 4:17, Mt 10:7, Ac 8:12. The point I want to make is that the Lu 22, 1Co 11 and 2Co 3 are open to interpretation. Whereas I believe, Jer 31:31, Heb 8:8-12 are more clear-cut statements of the oath made “with the house of Israel, and with the house of Judah”. To me these statements make the text definite and clear. Using the two witness biblical exegesis principle of Is 8:20, Mt 13:52 and that “God speaks twice” Job 33:14, plus Augustine’s rationale of “the old is in the new explained” and also using the ‘Berean attitude’ Ac 17:11, the evidence I feel for the gentile not being under the new covenant is more substantial. I therefore believe that 1Co 11:25 and 2Co 3:6 does not stand up to the same aforementioned exegetical principles. The “blessing many nations” meaning Jew and gentile alike, is fulfilled in Abraham’s seed meaning Christ Ga 3:16 and those baptised into Christ Ga 3:29, who the text says are heirs of Abraham. As a gentile saint, I reckon the promises I have as a child of Abraham mean I have no need of a “new covenant.” The new covenant was to supplant the old covenant, which I as a gentile was never a party to. We are definitely beneficiaries of Abraham’s covenant (Rom 4), but the new covenant goes further – union with Christ, the Holy Spirit, etc. More here. I have just begun reading The Gospel in Ten Words and on the strength and excellence of what I’ve read so far I have ordered two more of your books. Paul, I’ve been searching for a wonderful article of yours that I read a while ago. You were explaining when the New Covenant went into effect, and that it wasn’t with the first chapters of each Gospel. Can you direct me to that article? Thank you. Think of covenant as marriage. You used to be married to the law. The law didn’t love you but condemned you. It was an abusive relationship but now you are married to Jesus and He would rather be condemned than condemn you. He will never leave you or forsake you. The problem is, we keep having flashbacks, when we were married to the law. You have a new life, new marriage, new spouse. That’s what makes the new covenant new. Nicely said. The law is a demanding husband, always pointing out your faults, and never lifting a finger to help. The good news of Romans 7 is we who died with Christ are no longer bound to that husband. Need some help here. I have bad OCD and always worry if I’m saved. I worry over two things: If I am saved because I worry if I’m trusting Christ. And 2: because I have some dirty sin in my life that I hate. Back to topic: I believe (and want to be sure) that I am living in light of the new covenant and not the old. BUT, often when I sin I become anxious and wonder if I am Gods because I am so ugly. I don’t worry if God will ever forgive me, because I know he is a God all about forgiveness- but I worry and question if I am genuine in asking for forgiveness. Anywhoo, I realize I have a wrong mindset about this. I know and believe Jesus is the son of God who died for me, I believe I trust him but if I’m worrying like this, I must either have doubt or unbelief. Just want to make sure I’m living in light of the new covenant. Afterall, if I’m still relying on the old covenant, I’d be unsaved right now. A thought that is terrifying me. Could I be saved (born again) and still have this stupid worry I have? Hopefully I made somewhat sense. Any thoughts at all would be appreciated. Thank you. Unsaved people don’t worry like you do. More here. One thing I learned this year is that anxiety and depression tell us a lot of lies about what is true. Not every worry, concern or feeling we have are based on truth. Sometimes they are just imbalanced brain chemicals and/or bad thought habits. Always go to the facts of scripture(all on the topic not just the pet verses of the insecurity types) and then check to see if your thoughts match up with the facts or if they are lies. It has helped me in the past. Did the old covenant have eternal security? Whatever questions you may have about the old covenant, my advice would be to look to Jesus to find the answer. It is the greatest of errors, that man continues to try and make his relationship with God about religion rather than about Jesus. An unearned seat at the table is too hard for us to grasp. It takes faith. The old covenant was a shadow. Is there eternal security in a shadow? A better question is have we been abandoned by our creator, our Father? How far will he go to not let us slip away into the darkness? Jesus is God’s answer to our rebellion and our incapability to make our way back on our own. The Holy Spirit wants to help us to see him, Jesus. The writers of the new testament have joined in and are desperately trying to help us to see who Jesus is and what he has accomplished. It’s simply all about him. May not be what you were asking, just what came to mind when I read your question. God bless.